Are you a city dweller that lives and works in the North Lauderdale area? Have you been making use of the public transportation to get you where you need to go on a daily basis for several years? If so, you might want to think about the Fiat 500e as the car you can lease and enjoy driving on the roads around North Lauderdale, FL that will give you more freedom than what you currently have with your reliance on the bus schedule and Uber drivers in your area. You really don’t need to be concerned about range anxiety when you choose the Fiat 500e and make use of it on the roads in your city. With a propulsion system that offers 87 miles if EV driving from a full charge, you can start out each day and spend all day around the city without running out of juice. 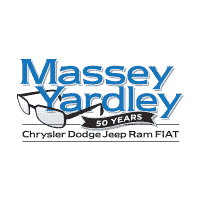 Let the team at Massey Yardley Chrysler Dodge Jeep Ram Fiat in Plantation, FL help you have the right model for you to lease and enjoy on the roads around North Lauderdale, FL so that you can have the drive you’re looking for. The Fiat 500e you’ll want to lease and drive on the roads in North Lauderdale, FL can mean freedom from the other transportation schedules for you. If you’ve spent a year planning your life based upon the bus schedule or the call you need to make for a taxi or Uber that you can enjoy to get you where you’re going to go, it will be a different feeling for you to be able to get in your little car and go. This is an amazing feeling that you’ll enjoy and feel proud of when you have your own car to drive. Not only will you be able to drive where you need to around the city and go where you want, you’ll be helping to use a fuel that’s sustainable and can be renewed. The Fiat 500e is only powered by electricity, which makes it the right model for you to lease and enjoy on the roads in North Lauderdale, FL. The power for this car comes from the permanent magnet electric motor to make sure you can have 111 horsepower and 147 lb.-ft. of torque in this little car that will be amazing on the roads, you drive. The team at Massey Yardley Chrysler Dodge Jeep Ram Fiat in Plantation, FL will make sure you can have the right EV model for you to drive. Visit this location and take a look at the different aspects of driving you can have with the 500e models that are available to lease and enjoy on the roads in North Lauderdale, FL. You’re going to be glad you came in and chose this location for the small EV model that will be perfect for you to drive around on the city streets where you live.